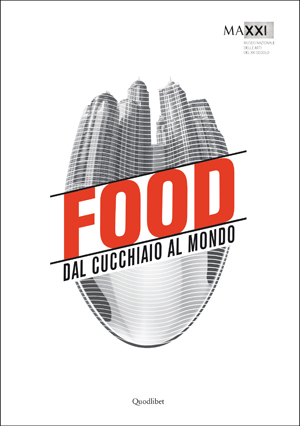 An exhibition that tells us about how food crosses, changes and influences the body, houses, streets, cities, and the landscape of the entire world. 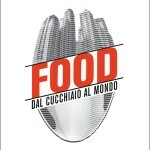 Over 50 works by different artists and architects that, in a presentation that ranges from the dimension of the human body to that of the planet, from the kitchen to the home, from the city to the region and the world, tackle the global political, social, urban and economic effects that the production, distribution, consumption and disposal of food have on communities and territories. 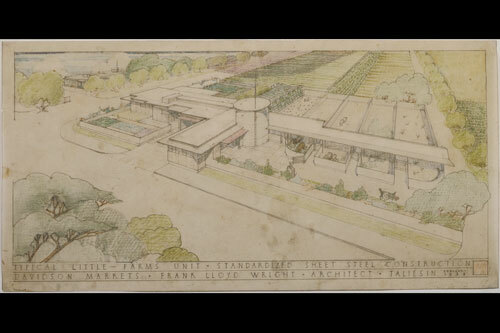 Avery Library Drawing & Archives has 3 drawings by Frank Lloyd Wright from his Pre Fab Farm Unit of 1932 in the exhibition. This entry was posted in Drawings & Archives, Exhibitions on May 28, 2015 by Ted. Proquest Research Databases (for Columbia University affiliates, or visitors to the library) contain periodical indexes useful to Art Historians. The search entry titled The ARTS includes cross-searching of 24 databases. You can view and change the databases searched by clicking on the “24 databases” tab at top. 1. ARTBibliographies Modern (ABM): This database is the only specialist bibliography available for the study of modern and contemporary art. 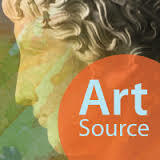 Covers all art forms, including fine art, digital art, crafts, design and photography. Features full abstracts and indexing from art journals published from the late 1960s onwards. Also incorporates book records, including those drawn from the collections of the Tate Library and the Bibliothèque Dominique Bozo, Musée LAM. 2. International Bibliography of Art (IBA): The definitive resource for scholarly literature on Western art, IBA is the successor to the Bibliography of the History of Art (BHA), and retains the editorial policies which made BHA one of the most trusted and frequently consulted sources in the field. The database includes records created by the Getty Research Institute in 2008-09, with new records created by ProQuest using the same thesaurus and authority files. 3. Design and Applied Arts Index (DAAI): This database is the premier source of information for all aspects of design and crafts, from textiles and ceramics to vehicle design, advertising and sustainability. Covers journal articles, exhibition reviews and news items from 1973 to the present. 4. The Vogue Archive: A complete searchable archive of American Vogue, from the first issue in 1892 to the current month, reproduced in high-resolution color page images. Every page, advertisement, cover and fold-out has been included, with rich indexing enabling you to find images by garment type, designer and brand names. The Vogue Archive preserves the work of the world’s greatest fashion designers, stylists and photographers and is a unique record of American and international fashion, culture and society from the dawn of the modern era to the present day. 5. Avery Index to Architectural Periodicals: This database is a comprehensive listing of journal articles on architecture, interior design, historic preservation, landscape architecture and urban planning since 1934 with citations to select 19th century periodicals. There are other Proquest databases such as Arts & Humanities Full Text, Proquest Historical Newspapers Full Text, Proquest Central and Proquest Dissertations & Theses which may also have relevant information for an art historian. This entry was posted in Bibliographic Services, Research Services and tagged art databases on May 7, 2015 by Ted. EBSCOHost Research Databases (for Columbia University affiliates, or visitors to the library) contain periodical indexes useful to Art Historians. To access this conglomerated resource, get into CLIO, type “ebscohost research databases” and click on the first URL found under the CATALOG section. Once in, click on the words “CHOOSE DATABASES,” deselect all (unless you are performing unique term searches), then select the individual indexes that look appropriate—a sample of which are listed below. If you drag your mouse over the sheet of paper icon to the right of each index title, it will tell you about the index. Soon you’ll get to know which ones are important for you. The long standard Art History index Wilson’s Art Index, is now sold through EBSCO, has merged with EBSCO’s Art & Architecture Complete, which has been renamed Art Source. It covers literature from the late 1920s to date. An index of articles to 42 American art journals published between 1800-1899. The standard architectural periodical index created at Avery Library covering articles in architectural journals in all European languages, as well as some non-Roman languages from the 19th century to date. An index created by the Frick Art Reference Library of The Frick Collection in New York, it indexes art history periodicals written in English, French, Italian, German, Russian, Spanish, Dutch, and Scandinavian from the mid-19th century until the middle of the 1960s. NOTE: EBSCO offers many other indexes that may prove useful to an art historian, such as: Alternative Press Index and its Archive, FRANCIS, Index to Jewish Periodicals, MLA International Bibliography, and many more. This entry was posted in Bibliographic Services, Research Services on May 6, 2015 by Ted. Henry Ogden Avery was born January 31, 1852 in Brooklyn. After studying at the Cooper Union (1870-1871), then in the office of Russell Stugis, he went to France in 1872 to study at the Ecole des Beaux-Arts, Paris. 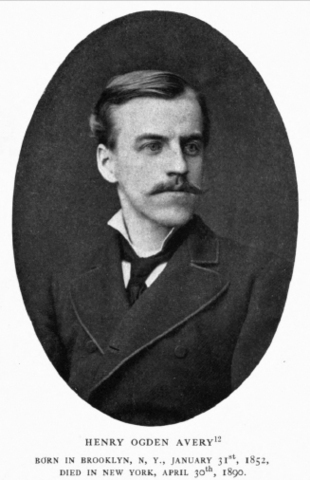 He returned to New York and worked in the office of Richard Morris Hunt where he assisted in the design of the pedestal for the Statue of Liberty, until starting his own practice in 1883. He competed in the competition for the design of Grant’s Tomb and designed private residences. 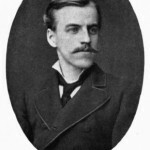 He passed away at the age of 38 on April 30, 1890. The Avery Library at Columbia University was founded by his parents, Samuel Putnam and Mary Ogden Avery, in 1890 in his memory. This entry was posted in 125th Anniversary, Drawings & Archives on May 1, 2015 by Ted.